This Land Rover Range Rover Evoque has a strong Intercooled Turbo Premium Unleaded I-4 2.0 L/122 engine powering this Automatic transmission. HEATED WINDSHIELD, HEAD-UP DISPLAY, FUJI WHITE. *Packages That Make Driving the Land Rover Range Rover Evoque Autobiography An Experience*EBONY MORZINE HEADLINING, DARK GREY OAK WOOD TRIM FINISHER, ADVANCED DRIVER ASSISTANCE PACK -inc: Traffic Sign Recognition, 360 Degree Park Assist, Lane Keeping Assist, autonomous emergency braking and driver condition monitoring, Park Assist, Blind Spot Monitor w/Closing Vehicle Sensing, reverse traffic detection, ADAPTIVE CRUISE CONTROL -inc: queue assist and forward alert, High Speed Intelligent Emergency Braking, Windsor Leather Seat Trim w/Perforated Mid-Section, Wheels: 20 Diamond Turned Alloy (Style 527) -inc: Light Silver Contrast, Voice Activated Dual Zone Front Automatic Air Conditioning, Valet Function, Trunk/Hatch Auto-Latch, Trip Computer, Transmission: 9-Speed Automatic -inc: drive select w/paddle shift and sport mode, Towing Equipment -inc: Trailer Sway Control, Tires: P245/45R20, Tire Specific Low Tire Pressure Warning, Tailgate/Rear Door Lock Included w/Power Door Locks. * Visit Us Today *Come in for a quick visit at Jaguar Land Rover Lakeridge, 280 Achilles Rd, Ajax, ON L1S 7S3 to claim your Land Rover Range Rover Evoque!This Land Rover Range Rover Evoque has a strong Intercooled Turbo Premium Unleaded I-4 2.0 L/122 engine powering this Automatic transmission. HEATED WINDSHIELD, HEAD-UP DISPLAY, FUJI WHITE. *These Packages Will Make Your Land Rover Range Rover Evoque Autobiography the Envy of Onlookers*EBONY MORZINE HEADLINING, DARK GREY OAK WOOD TRIM FINISHER, ADVANCED DRIVER ASSISTANCE PACK -inc: Traffic Sign Recognition, 360 Degree Park Assist, Lane Keeping Assist, autonomous emergency braking and driver condition monitoring, Park Assist, Blind Spot Monitor w/Closing Vehicle Sensing, reverse traffic detection, ADAPTIVE CRUISE CONTROL -inc: queue assist and forward alert, High Speed Intelligent Emergency Braking, Windsor Leather Seat Trim w/Perforated Mid-Section, Wheels: 20 Diamond Turned Alloy (Style 527) -inc: Light Silver Contrast, Voice Activated Dual Zone Front Automatic Air Conditioning, Valet Function, Trunk/Hatch Auto-Latch, Trip Computer, Transmission: 9-Speed Automatic -inc: drive select w/paddle shift and sport mode, Towing Equipment -inc: Trailer Sway Control, Tires: P245/45R20, Tire Specific Low Tire Pressure Warning, Tailgate/Rear Door Lock Included w/Power Door Locks. 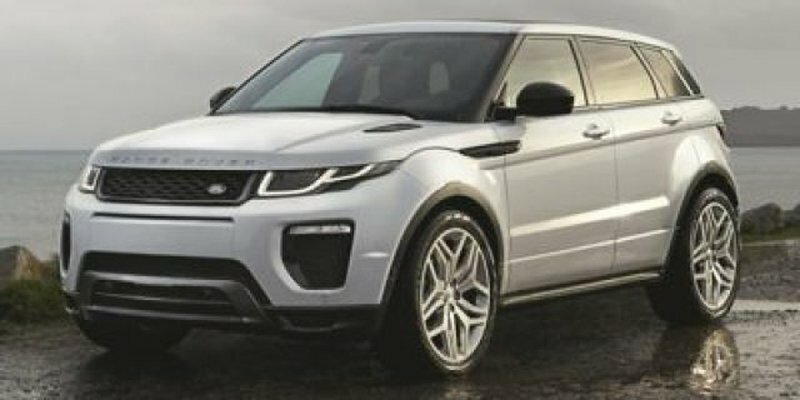 * Visit Us Today *Come in for a quick visit at Jaguar Land Rover Lakeridge, 280 Achilles Rd, Ajax, ON L1S 7S3 to claim your Land Rover Range Rover Evoque!Prices include all fees except licensing and HST.